A mathematician claims to have come up with the first-ever formula for the ‘perfectly proportioned’ pizza, taking into account factors like the ratio of topping to base. Dr Eugenia Cheng said pizza lovers get more topping per bite in a smaller pizza, but a more even spread of bites in a larger pizza. The mathematician from the University of Sheffield, calculated a ratio to ensure maximum flavour of topping to base. It shows that even if a person keeps the same amount of dough and topping, the ratio of topping to base in an average bite changes with the size of the pizza and smaller pizzas typically have more topping per bite than larger ones. Dr Cheng said it is not only about how thick the base is, but about the balance of flavours between the topping and the dough that determines how much topping an individual can enjoy per bite. She used d as the constant volume of dough and t for the constant volume of topping to come up with a mathematical formula for the ratio of topping to base in a median bite. Dr Cheng calculated that in relative terms, the average bite taken from an 11 inch pizza has 10 per cent more topping than the average bite from a 14 inch pizza. 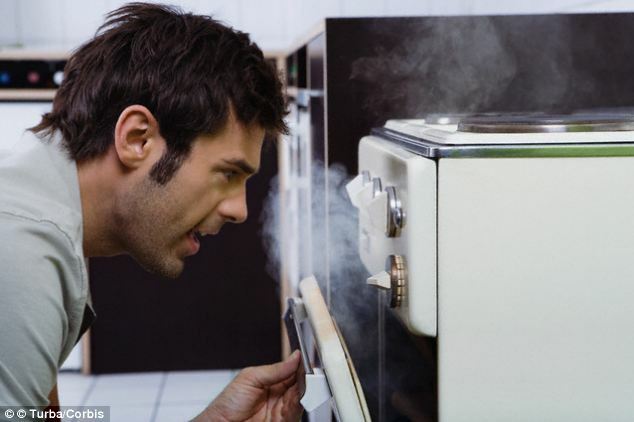 The formula also reveals that while smaller pizzas have more topping per bite, for home cooks seeking lots of extras on their creations, there is a larger risk of their pizza having a soggy bottom. She created another formula, alpha, divided by the radius of a pizza, squared to work crust sizes for pizzas of different diameters. She explains the size of the pizza’s crust is proportional to the thickness of the pizza – the larger the pizza, the thinner the base, so the smaller the crust. She determined the value of alpha was 15 experimentally, by making several pizzas of different sizes. 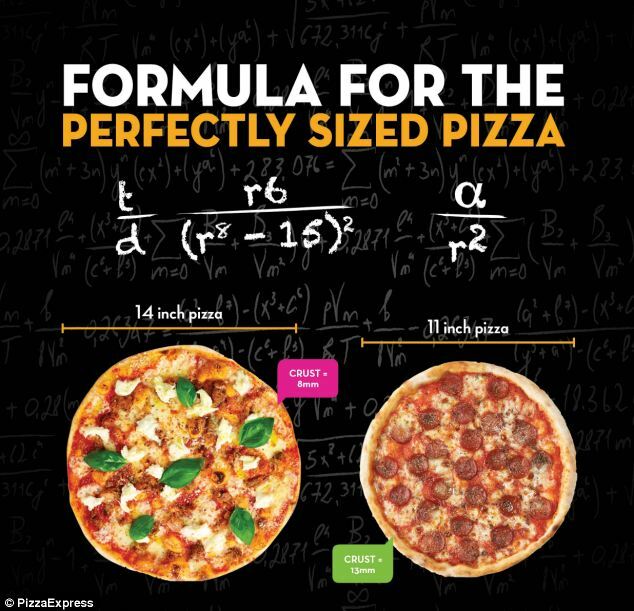 The mathematician came up with these formulas as she was asked by chain restaurant PizzaExpress to work out why its 14 inch Romana pizzas, which have a thinner and crispier base than the Classic 11 inch pizzas, are proving so popular. Dr. Cheng has found that the secret lies in proportions of the 14 inch pizza as it cooks just as evenly as the smaller version but the topping is spread over a larger area and goes close to the edge of the pizza. However, technically, pizza lovers in search of the most topping per bite should opt for the 11 inch classic version, based on the research. She said: ‘I’m always looking for more ways to bring food and maths together, as they’re two of my favourite things, but most people prefer food. The formula comes as PizzaExpress tweaks its dough for the first time since 1965, adding 15g to its pizza recipes. ‘It may not seem like much at all but it means that the thickness of every Romana pizza, which is rolled with a rolling pin to ensure an even amount of dough across the whole of the base and no air pockets, is even more consistent than before,’ Ms Farrer said. ‘For people who are as obsessive about pizza as we are, 15g makes all the difference,’ she added.